Canadian News : Chase Cyr Gets His First Century Break ! Chase Cyr Gets His First Century Break ! 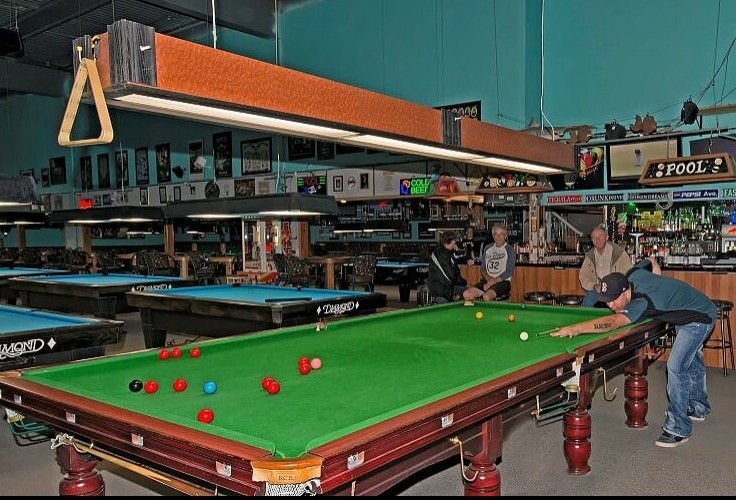 A big congratulations is in order to a man named Chase Cyr, who ran his first career century break at the Corner Pocket in Red Deer, Alberta…and did it in style too! A few words from Chase himself as he describes the achievement. "Well the day was June 14th , it was the day I ran my first century , I’d been playing snooker for about 3 years , I was always intrigued by the way the game was played. I decided to play and learned new things playing a couple local players around the hall , I always tried to take my game to the next level , and on June 14th I ran my first century. We were playing a friendly game of cut throat : with my chance to get to the table I ran a clearance of 133 : 11 blacks , 3 blues and the color balls. I’ve come close to centuries before but always got nervous when I knew I was getting up there in score. This time, I pulled through ! When I had the pink and black left I finally stood up and asked, “did I run a century” ? Everyone smiled and said yes you’re at 120 points. With a big burst of joy I got up and went around the table and high fived my buddy , going back to the table shooting the pink and black in for the 133 ! As I said this is only a snooker players dream, well for me it is, it’s a big accomplishment and I hope for many more to come." Well done Chase, here is to a bright future in your next level of the game !